Are you a tangerine lover? Well I am absolutely!!. This color reflects so much happiness and joy! This is my kind of color. Blood Orange looks so delicious on everybody. You can try this nail on a peach, black or yellow apparel. It blends really well. 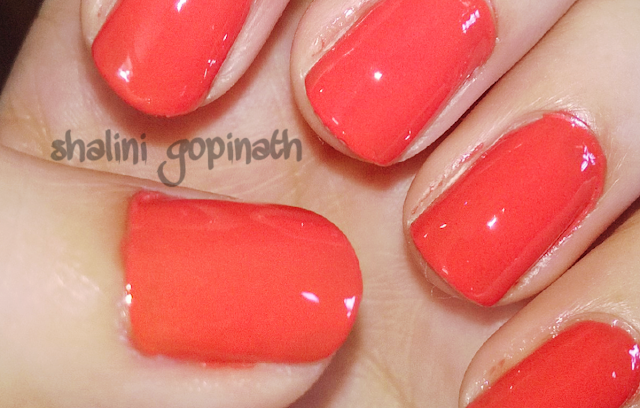 You can paint your nails tangerine for summers, celebrations or even as a party wear. Who cares?!! I wear it even on winters! I have recreated this look using Elle 18. This nail color is quite dense, thick and firm. You need a thinner to work on with it. 1) Apply top coat and wait for few mins. 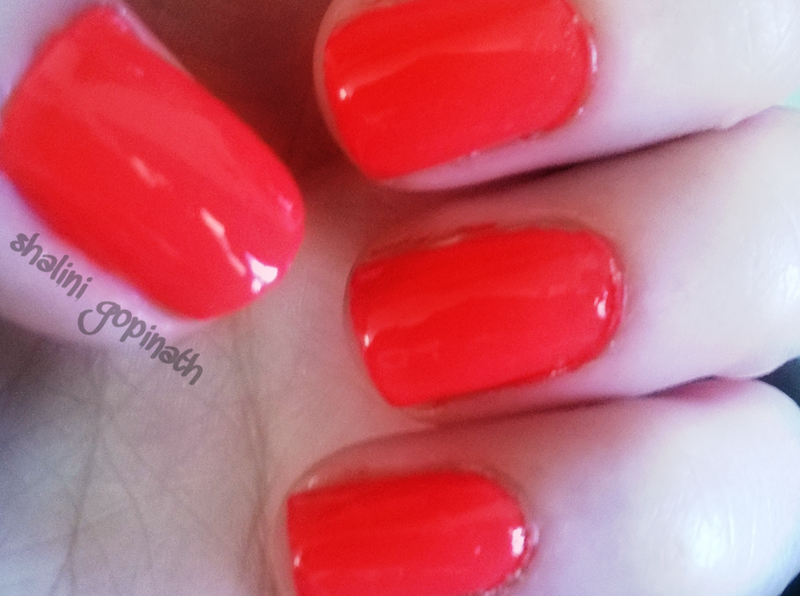 This top coat is very much needed for a nail color like this as tangerine is a reddish orange color it will stain your nails and leave you a bad color (Yellowish) aftermath. So do protect your nails. I suggest Colorbar USA or lakme top coat. It serves the purpose well! 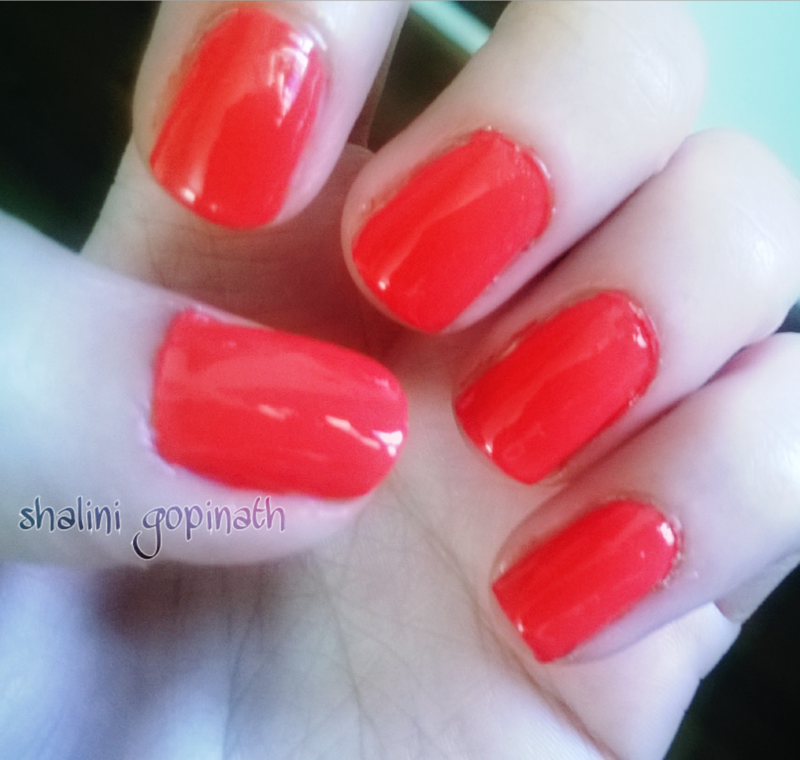 2) Apply your tangerine color above your top coat. Usually two coats will do however if you are looking for a darker tangerine lust look you can proceed to apply one more coat. 3) Finally apply top coat for a glossy effect. It also protects your nail wear and stays on for couple of days.